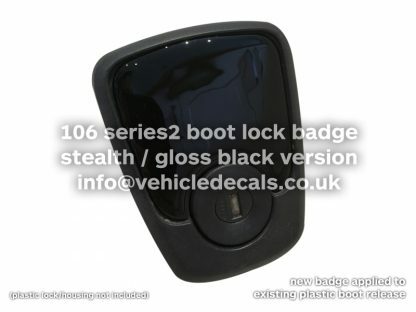 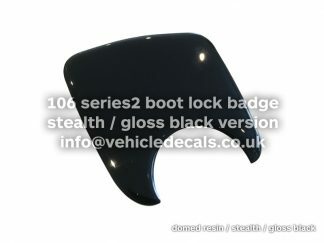 These are stealth/all gloss black versions of our rear boot emblems/badges for the Peugeot 106 Series2 tailgate lock (also known as the surround). They are known for looking tatty and fading with age. 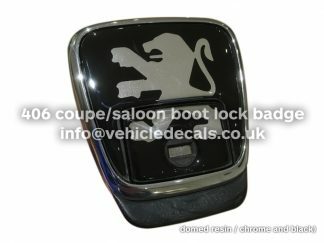 They are what you would get (minus the plastic moulding) if you were to purchase Peugeot OEM Part Number 8726 E0 but these are the all black versions minus a chrome lion. 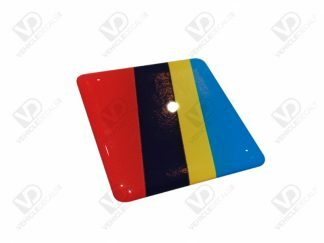 The original style ones are also available in our shop – see here!